Big band jazz is a curious art form, relying on apparently opposing ideas of individualism and teamwork. It is here many bands fail by assembling a vast arsenal of all-star soloists and the team spirit can be undermined by strong differences of musical opinion on the bandstand. On occasions, the band can be so tightly drilled that its precision can be likened to that of a military ensemble and the crucial elements of swing and spontaneity are lost. A successful big band, therefore, is one which treads the fine line between these two poles with the result that the whole becomes greater than the sum of the parts. Enter here The Big Beer Band. There is no shortage of jazz talent within its ranks many of the players have been written up in the press as being the stars of their particular instruments. The crucial difference is that in one form or another they have been playing together for more than 15 years. Over this time the band has developed a uniquely relaxed style, becoming a social as well as musical institution for its members. It is easy to see that a band which enjoys itself offstage will make its audiences enjoy it onstage. 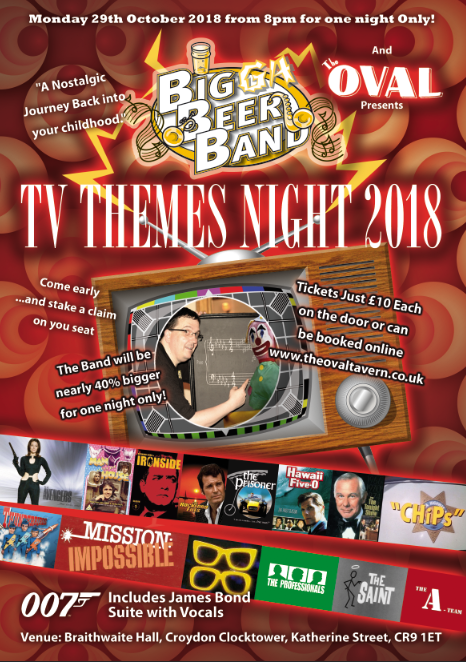 Whether playing a Count Basie-style swing number or the latest arrangement from the US, the infectious beat and pervasive good feeling will delight any audience. 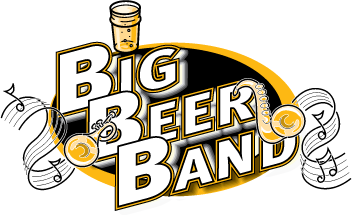 From playing in various jazz festivals and venues, the Big Beer Band has acquired a large library of original contemporary big band music and its high standard has taken the players to cities around the world including Rome, Los Angeles, Paris and Stockholm, combining top class musicianship with an exciting and entertaining performance. When an entertainer leans over to hear you better, grab his or her head in both hands and yell directly into their ear, while holding their head securely so they cannot pull away.This will be taken as an invitation to a friendly and playful game of tug of war between their head and your hands. Don’t give up! Hang on until the singer or guitar player submits. Drummers are often safe from this fun game since they usually sit in the back, protected by the guitar players. Keyboard players are protected by their instrument, and only play the game when tricked into coming from behind their keyboards. Though difficult to get them to play, it’s not impossible, so keep trying. They’re especially vulnerable during the break between songs. If you inform the band that you are a singer, the band will appreciate your help with the next few tunes, or however long you can remain standing on stage. If you’re too drunk to stand unassisted, simply lean on one of the band members or the most expensive piece of equipment you see. Just pretend you’re in a Karaoke bar. Simply feel free to walk up on stage and join in.By the way, the drunker you are, the better you sound, and the louder you should sing. If by chance you fall off the stage, be sure to crawl back up and attempt to sing harmony. Keep in mind that nothing assists the band more than outrageous dancing, fifth and sixth part harmonies, or a tambourine played on one and three and out of tempo. Try the cowbell; they love the challenge.The band always needs the help and will take this as a compliment. Finally, the microphone and PA system are merely props, they don’t really amplify your voice, so when you grab the mic out of the singers hand be sure to scream into it at the top of your lungs, otherwise no one will hear what a great singer you are. Hearing is over-rated anyhow. The crowd and the sound guy will love you for it. As a last resort, wait until the band takes a break and then get on stage and start playing their instruments. They love this. Even if you are ejected from the club, you can rest assured in the fact you have successfully completed your audition. The band will call you the following day to offer you a position. There is always something new. Just subscribe to one of our social profiles and stay up to date.